Having announced last month that they would play their first ever UK show in London next month at Camden's KOKO, TLC have now called upon fans for help naming their upcoming album. As yet untitled and currently in production, having launched a Kickstarter campaign for its funding in 2015, the pair, who will release this album without third member Lisa "Left Eye" Lopes, who sadly passed away in a car accident in 2002, say that the album will be out on June 30. It marks their first since 2002's 3D, but manager Bill Diggins has said: "We need your help...let’s hear your suggestions for the album title! 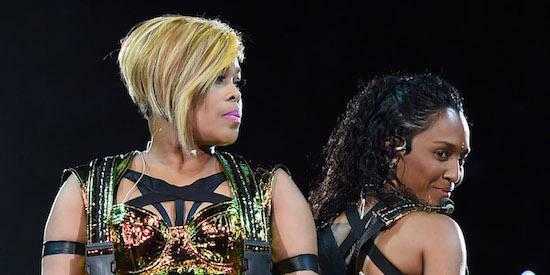 Tionne and Chilli are still undecided so looking to you for inspiration." You can read his post about the album here.